What are those things you can expect when you decide to undergo tooth extraction care? When it comes to tooth extraction, the latest procedures and aftercare as suggested by a dentist are both there in order to give you great comfort and benefit. Your dentist would numb the region to reduce any discomfort. After the extraction, the dentist would advise about the best aftercare regimen to observe. In many cases, a small volume of blood is normal. It is very important to avoid anything which may result to prevention of normal healing. It’s best to avoid smoking and rinsing the mouth vigorously. You must also avoid drinking using a straw for twenty four hours after tooth extraction care. Such activities can remove the clot and prolong the healing process. In the initial few days, when you have to rinse your mouth, you should do this gently afterwards for swelling and pain. You can use a cold cloth or ice bag. Ask a dentist regarding pain medication. You may brush and then floss your other teeth in the usual way you do. But, you should never clean your teeth that are near to the hole. Dry socket or alveolar osteitis is the condition which at times takes place after tooth extraction care. If the wound takes time to heal, your condition could be extremely painful for 3 to 5 days or more. Treatment might involve keeping the area clean and putting the medicated dressing into the socket that will aid in providing pain relief. Your dentist might change the used dressing every day till the pain disappears and that the socket starts to heal. Your dentist might suggest a pain killer like ibuprofen and aspirin or he may prescribe some other medicines for pain. Cigarette smoking and some other tobacco usage may cause delayed healing so these have to be avoided. 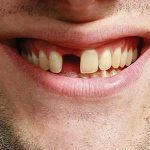 When your tooth was damaged or broken because of tooth decay, the dentist would attempt to resolve the problem using a crown, filling or some other dental treatments. 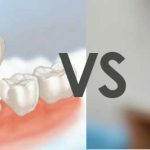 But if the tooth was severely damaged, it might require extraction or removal from the socket of it within the bone. 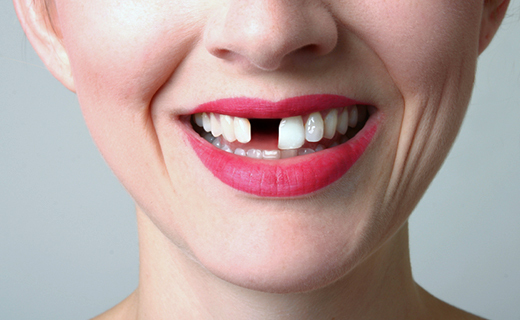 Simple extraction – this particular procedure is on the tooth which could be seen on the mouth. In this form of tooth extraction, your dentist will loosen the damaged tooth using a special instrument known as an elevator. After that, the dentist will use forceps in removing the tooth. Surgical extraction – it is more complicated procedure that is used when a tooth might have detached at your gum line or it doesn’t erupted within your mouth. The surgeon will be making a tiny incision to your gum in order to surgically remove broken tooth and the affected wisdom tooth. Put an ice pack on your face. It will be very helpful in reducing swelling. Leave it on for twenty minutes and wait for another 20 minutes before reapplying the ice pack for another 20 minutes. Consume cool and soft foods within a few days. 24 hours after the surgery, do not forget to gargle with warm salt water. You can use a half teaspoon of salt and mix it with one cup full of water. Avoid smoking, using a straw or spitting after the operation. Such actions may draw the clot outside of the hole wherein the tooth was.